For a bustling city of millions like Sydney, infrastructure expansion and development is key to make it inhabitable. As the city and the rest of the state continues to grow, more roads, hospitals and buildings will be necessary to avoid overcrowding and uncomfortable conditions for commuters and workers. As developers and contractors rush to profit on the city's potential, it's not just work on the frontline that will be in demand. For the plethora of planned expansions and projects to go ahead smoothly and profitably, it will depend on the actions and planning of health and safety professionals. If you're looking to get the jump on an industry that's about to see a rapid increase in demand, it's worth having a look at what a certificate or diploma in WHS can offer you. Sydney's CBD is NSW's economic hub, so it's a centre of ongoing expansion and job creation that will see more and more people make their way into the city for both work and leisure activities. With the Australian Bureau of Statistics predicting that Sydney will be the first Australian city to hit a population of 5 million, these projects are now even more important. 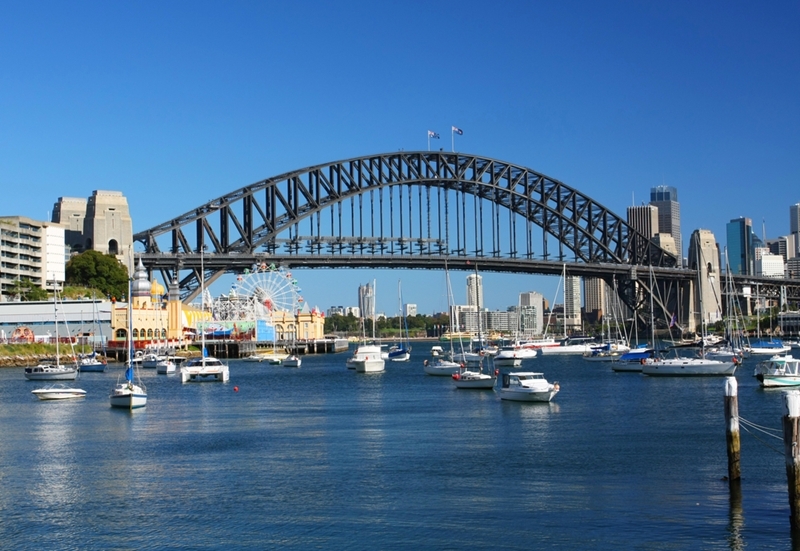 Sydney will be the first Australian city to hit a population of 5 million. However, CBDs aren't just for business, they're often an important cultural hub too. This is why the Central City Planning Strategy has conditions in place to ensure that any new high rises don't overshadow public spaces like Prince Alfred Park, Harmony Park and the proposed public square by the Town Hall. The plan's focus on building up rather than out is where the demand for health and safety professionals will really be evident. Not only are these buildings set to reach new heights, the construction sites will be located on one of the country's busiest cities, so having the right skills for the job will be essential. Currently, the height limit for buildings in the CBD is 235 metres, an enforcement that could need to evolve as developers look to build up rather than out. It's suggested that the new limit may be 310 metres – one metre higher than the Sydney Tower. However, any developer wanting to build above a height of 55 metres will need to dedicate half of the space to "office, retail, cultural or other uses", the Sydney Morning Herald reported. The focus on major tower developments and high-profile projects in Sydney's CBD will create significant competition in the region. While people who have WHS qualifications will be in demand either way, it's always reassuring to know there are multiple opportunities on the horizon. Currently, Western Sydney is the focus of a major plan to upgrade and improve roads in the areas. It's a long-term investment too, expected to cost $3.6 billion and be completed over the course of 10 years. Naturally, as the project expands across the region's roads, capable WHS staff will be essential to keep both workers and the surrounding traffic same. Sydney will continue to grow in the coming years. The intended road and highway upgrades will link to yet another major project as well. For the planned airport set to be built at Badgerys Creek to be at its most effective, it will need to be supported by a capable road network that makes it easy for people and freight to get to and from their destination. As with the central city projects described above, the billions of dollars worth of projects being rolled out over the next few years will create a sustained need for WHS professionals. Without the right people with the right qualifications, these jobs can't go ahead. To find out what you need to make a difference, contact the team at Alertforce today.